It’s true! Using timber frame construction to add beauty, permanence and distinction to your home doesn’t have to break your budget. Hybrid timber frame homes are homes that mix timber frame construction with conventional construction. The timber framing is usually used to great effect in the public areas of the home (entrance, great room, dining area) and for structural highlights (exterior timber accents at the gable ends etc. ), where as the remainder of the home makes use of conventional building techniques. These timber frame hybrid homes are generally 6 to 15% more expensive than conventional construction. Naturally, we strongly believe that this added cost is more than made up for in the increase to the home’s resale value and living charm. 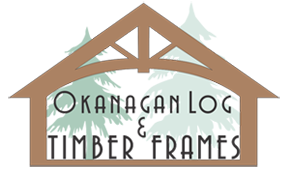 Contact us for more information on how we can bring the elegance of timber framing into your life.